A new year has brought little respite for the increasingly beleagured supporters of Coventry City Football Club. On the pitch, the team has gone five games unbeaten since its last defeat at Swindon Town on the Saturday before Christmas, including a win against Championship opposition in the form of Barnsley in the Third Round of the FA Cup, but away from it the prospects of the club returning to the city of Coventry from its self-imposed exile in Northampton now seem to have shrunk to being a mere pin-prick on the horizon. January started with the club’s supporters trust, the Sky Blues Trust, publishing the results of Freedom of Information requests to try and establish the whereabouts of the sites that the club has been claiming that it has identified to build the new stadium that it has long promised. In an interview shortly before Christmas, Mark Labovitch – a non-executive director of the club – claimed that it was in the final stages of securing land for a new stadium and details were likely to be revealed in February, which followed confirmation from Councillor Anne Lucas, the leader of Coventry City Council, that it was time for them to “move on” from negotiations with the club’s owner over the future of The Ricoh Arena. Rugby Borough Council can confirm that approximately three months ago the Leader of the Council and Executive Director met with representatives from Coventry City Football Club to discuss the club’s proposals to develop a Category 2 Academy training facility within the borough. The representatives of Coventry City Football Club were informed that the proposals were unacceptable to the council and there has been no communication with the club since that meeting. In this instance the third party developer has released information that has enabled the media to deduce through a process of elimination that we have been approached. Under those circumstances I can confirm that an enquiry has been made by a developer to council officers, however this was of a very speculative nature and at an early stage. Since that initial exploratory contact we have received no further approach and we are therefore not considering any proposal for any particular location. Meanwhile, the rumbling noise of litigation continues to loom heavy in the background, with the latest parties to lock horns being The Alan Edward Higgs Charity and Sisu. The claim revolves around negotiations held in the latter part of 2012 and which concerned the club’s attempt to purchase the charity’s stake in ACL, the joint venture company which operates the Ricoh Arena. 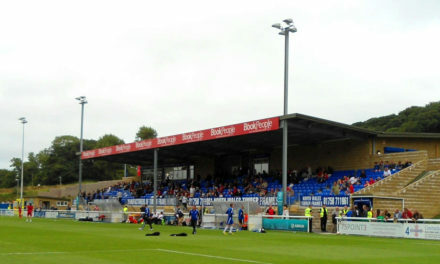 The charity’s claim is based on a clause in the contract regarding those negotiations which stated that if talks broke down the club would cover costs incurred by the charity as part of this process, a sum of money understood to be in the region of £30,000, a sum of money that it is legally obliged to seek the repayment of on account of its charity status. It wasn’t enough for Sisu to merely defend this claim, of course, so they have also issued a counterclaim for a figure which has been reported as being “in the region of six figures.” Some of the hedge fund’s dwindling band of supporters have argued that they are legally entitled to do so, but legality and morality do not make for comfortable bedfellow. This is the claim form that would have been issued by the charity in the first place, and this is form N9B, which is the form used to reply to such a claim. Civil Procedure Rules allow for four responses: admission of the debt, part-admission of the debt, defence, and counterclaim. There is no obligation on the part of Sisu to counterclaim and there will already be many who have drawn their own conclusions over what it says about the morality and ethics of the hedge fund to have issued a counterclaim, and the headlines from it all – which can roughly be summed up as “Hedge Fund Seeks To Take Money From Coventry Children’s Charity – seem tcertain to leave yet another bad taste in the mouths of many of the city’s residents. Alan Higgs was a businessman who became a multi-millionaire from a variety of businesses in Birmingham and Coventry, but most notably from a house building business in the Coventry area. Upon his death in 1979 his estate, which was worth around £26m, was put into a charity which was set up specifically to help deprived children from Coventry and an area within twenty-five miles of the city. In keeping with this, The Alan Higgs Centre was opened in 2004 to provide sports and leisure facilities for people living in the south east of Coventry, and the charity is a part-owner of Arena Coventry Limited, which owns The Ricoh Arena. To lose a six figure sum as a result of this counterclaim would obviously be sigificantly to the detriment of the charity, though there is nothing to suggest that it would cause it serious financial difficulty. So, where are we up to now, then? More lawsuits, more acrimony and still next to no chance of Coventry City Football Club returning to the city of Coventry for the foreseeable future. All may or may not come to hinge on the result of the judicial review that is due to be held with regard to the remortgage made between ACL and Coventry City at the start of last year. A definitive answer to that case, however, seems a long way off, and for all the architects drawings and “exclusive” stories fed to the Coventry Telegraph, the reality of the situation is that there is little to indicate that a new stadium will be built “in the Coventry area” in the foreseeable future. And with every bad news story, every tale of further litigation, people will continue to drift away from Coventry City Football Club, and therein rests the harsh truth of this story – a football club’s very life blood is ebbing away from it, and almost everybody in a position to be able to do something only seems intent on further exacerbating its misery. Sisu av drained the club right from the start an will continue to do so because what do they care???? ?